Business gurus have long misinterpreted this quote about personal self-improvement. Don’t judge them too harshly, taken out of context and applied to business, that sentence is dead-on. Myth: "Growth should always be steady." This may be true if you're running a multi-national giant, but small businesses tend to grow in spurts. Shopventory users probably won't open 10 new locations every year, but there may be one year when 2 or 3 new locations are added. As your business grows, new challenges present themselves, and it can take some time to systematize and figure the best way to handle them. It may be tempting to look at worldwide brands for a blueprint, but the likes of Starbucks, Nike, and Apple are in a league of their own. You wouldn't use the same plays and strategies of world cup soccer teams when coaching a team of 10-year-olds. The goal is still to get the ball into the net, but there's not much else in common. It's best to plan in stages and be opportunistic. This requires patience and looking as far out ahead as you can. It can take a while for that business loan to be available at the right interest rate, or for that perfect space for a second location to come on the market, or for that new trend to find its way to your customer base. But once the opportunity presents itself, a good small business owner is ready to pounce. Reality: Picture a line graph and think more staircase than ramp. Rather than trying to make the incline steeper, start planning the next ‘step’. Ready to grow like a pro? Maybe if you are manufacturing the inventory you sell, but business growth is really not about perfection, it’s about adaptation. What would you think of a musty restaurant that had Roast Pheasant, Boiled Eels, and Lobster Newburg on the menu? These days, people are looking at menus for things like sweet potato fries, calorie counts, and whatever “aioli” is. Businesses who focus on keeping the regulars rather than expanding the market are rarely successful. There are many ways to attract customers and increase sales, but they are constantly shifting. A business growth model that worked 5 years ago may be obsolete today. This doesn’t mean you should completely re-invent your business from the ground up every 6 months, but it does mean you need to ask questions like, “are these the right customers?”, “am I selling the right inventory?”, and especially, “am I leaving money on the table?” Again, it’s best to think in stages. Reality: Stop and evaluate. No one wants to be the best at implementing a business model that no longer has a market. Growth breeds profit. We all know that. But many businesses fail to realize profit breeds growth. 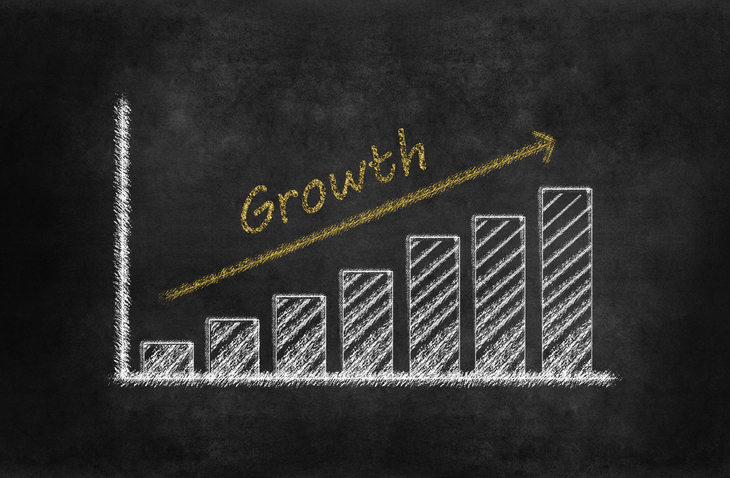 In other words, profits — which are reinvested into the business — should be the main driver of your company’s growth. Firstly because well-meaning investors and creditors tend to have a lot of unsolicited opinions. Often, they know very little about you, your staff, or your customers, but can be a powerful outside voice which now has a say in your business. Secondly, because investing earned profits (as opposed to anticipated profits) inherently means you are running a profitable business. It also enables you to save and have room to make necessary cuts during leaner times. It feels pretty great to give yourself a pay raise or to give bonuses to your employees, but profits are the fuel needed for real, sustainable growth. Slow down and determine every dollar’s purpose as a means to an end. Don’t ‘deploy’ your profits recklessly, remember, they are the seeds you’ll need for your next stage of growth. When in doubt, just put your profits into savings. Reality: Profits are to business what seeds are to farmers. Take your time. Deploy your profits strategically, conservatively, and only after careful consideration. Myth: "Find what sells and just scale it up." There is a big difference between what sells and what is profitable. This is a key distinction which so many businesses fail to make. It’s great to see an increase in sales, but not if it means gross profit dollars stay flat. Margins are the key to growth, and it all comes down to what inventory you’re deciding to carry. In order to make better decisions, you have to evaluate what is driving your inventory selection. Do you carry an item because you like it? Because your employees ask for it? Because a VIP customer requested it? Because your vendor really pushed it? Because you simply have space to fill? Each of these has their own vested interest, which may not be the best interest of the company itself. Trends and experiments can prove valuable, but they have to be backed by numbers. This is where insights into your inventory are indispensable. What’s selling? What’s the margin on those items? Are we ordering more because they’re profitable, or because they’re sold out? Even if your business is volume-based, margins need to be a primary driver of inventory decisions. Reality: Distinguish between what sells and what’s actually profitable. The ideal business only sells margin-maximized items. Reality: Growing your business requires insights. Business so often boils down to data, numbers, and cold hard facts. Profits vs Loss sounds easy enough, but it requires a lot of work to get there. This is where tools come into play. Tracking inventory, tracking profits, auditing and re-evaluating are not simple tasks when you’re dealing with thousands of pieces of inventory. This is why all of us at Shopventory strive to put tools in the hands of small business to help them save time, effort, and money. Tools like detailed inventory reports, cost history, and sales reporting do the work of an MBA employee starting for less than a dollar per day. Right now we are offering a 30-day full-feature free trial of Shopventory. In fact, Shopventory is backed with a 30-day money back guarantee. That means you get a total of 60 days risk-free! You can start a trial now with no credit card required! Thousands of merchants trust Shopventory to help them grow their business and we can do the same for you. It’s better inventory management and optimization — guaranteed!